Beans are very high in protein and fiber and often overlooked by those looking for a healthy diet as some have problems with "gas"*. 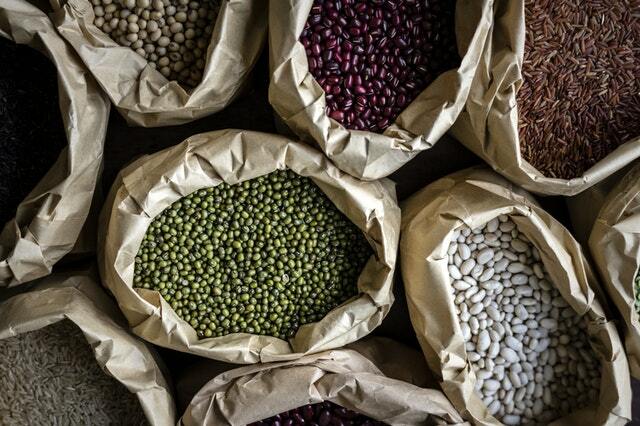 Beans have so much protein you can easily get enough fiber every day if you have them with each meal. This can save you hundreds of dollars every year if you buy fiber supplements. Think what you can do with those extra dollars in savings each year. For the longest time I did not really understand how to make beans. I used to put them in a pot of water and they seemingly would never get done. The only ones that I could get to cook quick enough were lentils. Turns out all you have to do is soak them overnight. Sort the beans prior to look for small stones or dirt. After you soak them pour out the water as it's a bit dirty. Beans are living things as they are activated with water and thus they like everything living will expell waste product. In other words they kinda go to the bathroom so this water is not as tasty though not dangerous or toxic unless they have been sitting in the heat for more than over night. Beans should be soaked overnight while sitting in a cold area like inside the refrigerator is what's best. Wash and rinse the beans, draining the water, then add water, and cook on the stove for about an hour on low heat after adding some salt and even some other spices and vegetables. They can also be cooked in a crock pot but the flavor will suffer some if left there all day to cook. Do not be afraid to use salt unless you are directed by a physician to limit salt intake. There is much less salt in home cooked beans normally if done to taste than with beans you would find in a can, those are loaded with way too much salt as is bread. Add a little Tabasco sauce for flavor when you scoop them into a bowl. Be sure to SHARE this recipe with a friend using the share buttons to the left side of this page.